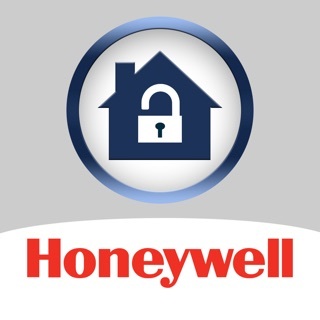 Honeywell Home connected products simplify home comfort, security, and awareness by allowing easy control with a single app. Our heritage and experience in and around the home means you can trust each of our products to perform brilliantly and give you a smarter more comfortable home. The smarter way to know what’s happening at home: An all-in-one security system that comes with Amazon Alexa™ built in, and scheduled facial recognition* coming in 2018 that gives you smart mobile alerts. It’s do-it-yourself security made easy, that you install and control yourself, and that grows with your needs. the room temperature or humidity is too high or low, reminds you when to clean the air filters, and even sets the controller’s display brightness. The T5 & T6 Smart Thermostats allow you to take comfort knowing your home temperature will always be just how you like it. They are easy to install and use and conveniently fits in with your lifestyle. The T5 & T6 Smart Thermostat is ENERGY STAR® certified and you can program it based on your schedule, or let it adapt to your life as plans change with geofencing. Control the Smart Thermostats from anywhere simply by using your smartphone or tablet: or integrate into your smart home with Amazon Alexa, Google Assistant and Apple HomeKit support. With Honeywell’s Smart Thermostats you can keep life simple and remove the guesswork, while ensuring maximum comfort when you're at home and saving you money on your energy bills. With Honeywell's indoor C1 Wi-Fi Security Camera, you can watch what's happening at home – anytime, anywhere. Versatile and easy to install, it also sends rapid notifications to your smart device if it detects unusual movement or sounds. You can even combine multiple cameras through the same Home app to monitor your whole home yourself. So if something happens when you're not there, you can see it and stop it. Honeywell's indoor C2 Wi-Fi Security Camera can recognize the difference between a crying baby and a smoke alarm, and sends a notification to your smart device if it hears either. It also lets you watch what's happening at home, anytime, anywhere, and can detect other unusual movements and sounds. Versatile and easy to install, you can combine multiple cameras through the same Home app to keep an eye on your whole home yourself. Now you can see more and hear more. - Updated the order of devices shown on the dashboard. Smart home security and cameras will display first followed by thermostats then water leak and freeze detectors. Devices are ordered alphabetically within each product category. - Fixed a bug that would intermittently hide thermostat schedules. - Additional bug fixes and maintenance. They have updated this app recently, maybe the 2nd to the last update basically messed this app up. Like what the others are experiencing, the scheduling function has been a nightmare since. I used to be able to change it and it will follow the schedule properly (or even if I leave the schedule alone). Now, the schedule won’t change until you go to the app and close it, open it again and maybe if you are lucky it will show “following schedule”, otherwise, you have to close and reopen the app several times. It is always showing “no schedule”. Also, before when I click and adjust the temp, it will give me an option to either hold for a period of time, hold temporarily or remove hold, now it does not do that all the time, sometimes I click out of the main page where you adjust the temp and go back and it will show up, most of the time I have to close the app out a few times to be able to get these options to show up. 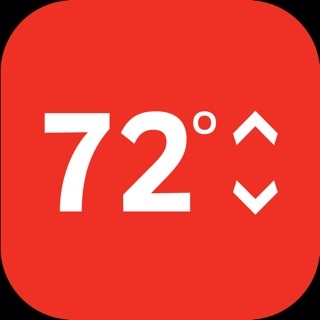 Also, I did not change any of the settings in the app nor the thermostats and the only thing that I change constantly is the temp and schedule which I used to do all the time and the app always follows the schedule. Obviously something got messed up on the updates, I wish they leave the app alone, I understand that it is necessary for security purposes but sometimes if it ain’t broke don’t fix it. Do not need the bells and whistles, just app the works because it used to. Please fix the bugs soon, its a great app when it actually works. I had the Honeywell T-6 Pro WiFi thermostat installed as part of a new AC install. 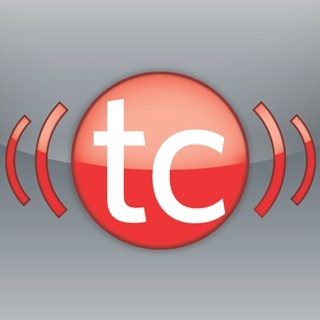 This app or the t-stat is ridiculous! 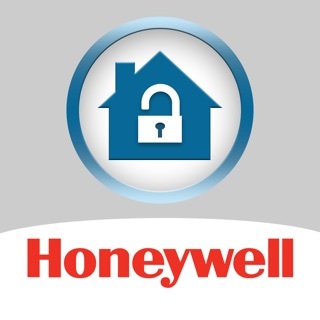 3 times it has stopped communicating and I get a msg from Honeywell that “we have lost communications with your thermostat.” Fix the darn app will ya?!! The other morning I was up at 4 am because the thing quit working! Unsat! Updated to Version 4.5.1 Build (607). I thought this update would correct some of the issues. It did, some, however now it stops “following schedule”. I have to change the t-stat temp on the app, then it will give me the option to “hold permanently”, “hold to specific time”, or “remove hold”. Usually if I remove the hold it will go back to “following schedule”, but then if I close the app for awhile and go back into it it will show “no schedule”. I thought Honeywell was better than this from my 30 yrs in the U.S. Navy. I guess not. Not happy with this update. Hello! Thank you for bringing this to our attention - that's definitely not what should be happening. We're happy to help you sort this out and get your thermostat and app working properly for you. At your convenience, please give us a call at 1-800-633-3991 and reference case number 00712290. We look forward to working with you! I’ve had this for probably six months now. My only complaint is that sometimes it doesn’t recognize that my wife is home. I set it to give me an alert and I keep having to turn the geofencing feature off until I get home. Aside from that quirk it is terrific. Second complaint is data logging, or the lack thereof. It’s not a comfort issue or anything like that but I find it amazing that there’s no way to see how many hours it’s operated or in what mode and what the temperature was say every hour for at least a day or a week. At one point I set the modes too close and believe that it would heat up the house then turn on the A/C to cool it back down. With a data log feature I’d have seen that sooner. My wife is disabled and we don’t leave the house at regular times each day so the competition’s device that “learns” your schedule was of no use to us. In theory this is a much better option however Honeywell needs to build in a data logger and definitely needs to fix the Geofencing reliability. At the very least give us a button to override the home/away and/or refreshing the search when we know for a fact that someone is home. Hi there! Thanks for your feedback. We appreciate our customers input on our app and look towards these kinds of suggestions as we move forward. If there is ever anything you need help with, please give us a call at 1-800-633-3991 or send us a message at MyLyric@honeywell.com (ref. #00619265). We’re always happy to help!